This week’s free Wellcome Library Insight session – on Thursday 18th November – offers the chance learn about the globe-trotting adventures of surgeons, medics, clerics and ‘ordinary’ tourists whose records have found their way into our collections. Our Insight sessions give visitors to the Wellcome Library an opportunity to explore the variety of our holdings. Sessions are thematic in style, last around an hour and offer a chance to learn about our collections from a member of Library staff. This Thursday’s session starts at 6.00pm, and tickets are available from the Wellcome Collection Information Desk from 4.30pm onwards. 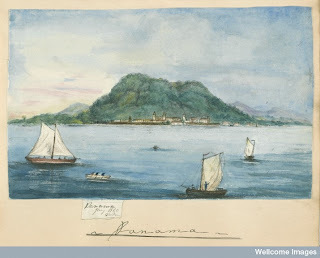 For more details, see the Wellcome Collection website.